Hello! 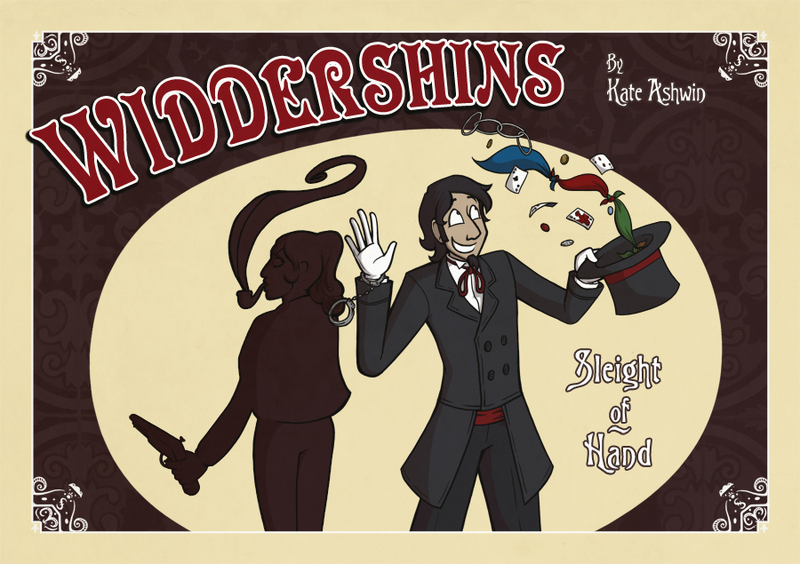 I’m Kate Ashwin, and I make Widdershins (http://www.widdershinscomic.com), a Victorian-era adventure webcomic! It updates twice a week with new pages, all free to read online. I like how accessible it is- There’s no bar to entry, anyone can make something, and I feel like it opens up the field for comics of all types to thrive. There’s a lot of stories being told via webcomics that we might not have otherwise been able to read- I don’t know if I’d have ever had the courage to approach a publisher, especially back when I first started, and a lot of my peers seem to feel the same. It results in the medium as a whole expanding and drawing in some really stunning new work and inspiring new creators! As a term? I tend to say webcomic, just because it’s the word I’m most used to, probably from having my roots in early 2000s webcomics. Also it’s fewer letters to type. All sorts of approaches to creating them work. The one I like to use is the traditional webcomic model of updating page by page, as it gives the readers something new to chew over every couple of days. Others like to upload entire chapters/issues at a time, comiXology style, which must provide a more immersive experience as readers aren’t left waiting between pages, but it means you have to catch their attention all over again a few weeks/months later. They don’t need to, the two can peacefully co-exist! And I rather hope they do, as I’ve still got copies of the printed versions of my comics to sell! Some people don’t like reading on a screen or they like the tactile sensation of having a book and owning a nice collection, others would like to save shelf space or money by reading online. Both are valid, why not appeal to as many different types of reader as possible? Print comics seem to be making every effort to keep up with the quickly-changing nature of the internet, and that’s definitely smart. Offering your content in as many formats as you can seems very worthwhile! Honestly, I like most things about them. I suppose the part I dislike most is the non-comic maintenance, like having to design and code the website. I’m awful at webdesign and worse still at CSS, but I’m trying to learn! The trend seems to be heading towards more excellent-quality work drifting to the top, and some wonderful ideas for supporting them- Kickstarter and Patreon have made a real impact and altered how a lot of us operate! I’ll be interested to see how all of the new artists rising up in webcomics change the nature of the medium as a whole, there’s a lot of new voices being heard now, and it’s wonderful. 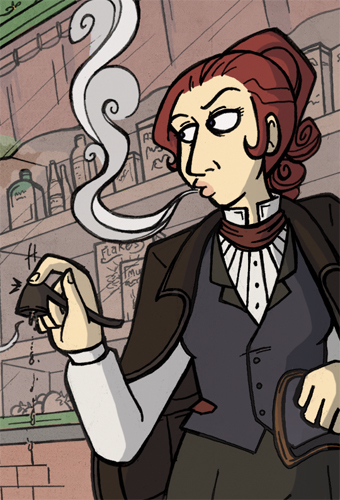 I can see Minna Sundberg (http://www.sssscomic.com/) going very far- Her pace and page quality is just astounding. I also know Kel McDonald (http://www.sorcery101.net/) has the drive, energy and confidence to make a mark!